My first solo album “Monarch Girl” is now available as CD & download. It’s split into two parts. The first half is a mix of pop & rock with explosive grooves & sweet vocals. The second half highlights diverse acoustic playing and composing. Special guests include Randy Cooke (Ringo Starr, Smashmouth), Paul DeLong (Kim Mitchell, Rik Emmett), Don Breithaupt (Monkey House), Rik Emmett, Steve Skingley, David Blamires (Pat Metheny) , Kathryn Rose and Rique Franks. It’s available NOW at Maple Music & iTunes, as well as at shows and at pretty well every other pay-to-download store. By the way, on “Monarch Girl”s first day of pre-sale, it reached #1 at Maple Music! NEW music videos from “Monarch Girl”. 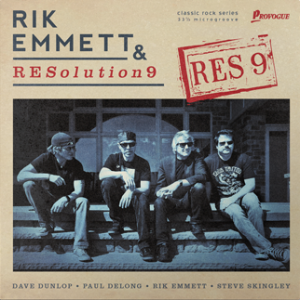 “Rik Emmett & Resolution 9” (Res9) will be out on Nov 11 on Mascot Records. I played on it, co-produced, co-engineered and co-mixed, working with Alex Lifeson of Rush , James LaBrie of Dream Theater, and Triumph members Gil Moore and Mike Levine. You can pre-order on CD & vinyl. 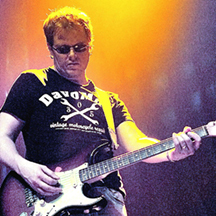 Dave Dunlop ~ Guitarist, producer, songwriter, singer, educator. Session & live guitarist. Owner-operator of Room 9 Studio in Toronto Canada. Endorser of Gibson Guitars, Dean Guitars, Traynor Amps, and D'Addario Strings.